Boxford is a large village of approximately 1200 people in south Suffolk. Situated six miles east of Sudbury and five miles west of Hadleigh. An archetypal Suffolk village, there are some 516 homes in our community many dating back hundreds of years with beautiful timber frames and colour washes. The village has a strong community spirit, and is a warm friendly place to live. It has two popular pubs and a coffee shop, a butchers, a garage (Britain's oldest garage! ), a grocery store and a post office/store (Britain's oldest shop!). It has a well regarded primary school as well as a thriving church community, a village hall, playing fields and lots of clubs and organisations. We hope the website will provide a useful source of information for both residents and visitors wishing to learn more about our community; we see this as a constantly evolving document designed to record past and present life in our village, whilst also promoting future events. But ... we need your help! Please contact hello@boxfordsuffolk.com with your ideas, suggestions, historical information and pictures, current event details, photographs, etc. Have you been to Primrose Woods lately? Set up in 1998 by another of Boxford's hard working, tenacious, team of volunteers. Primrose Wood is our own 22-acre Millennium feature. A beautiful, peaceful nature reserve that you are welcome to walk in at any time. Its an important wildlife habitat, you never know what will you might see as you stroll! Click here to learn more about it. Boxford has a wealth of foot and bridlepaths for intrepid ramblers and casual amblers alike. Take a look at our footpaths page to see the various rights of way and how they connect to each other. Our Community First Responders, known as the 3PR team (Three Parishes Response) was set up in 2002. The scheme comprises of local villagers, who volunteer to assist the Ambulance Service by attending local emergency calls. They provide basic emergency care whilst an ambulance or paramedic is en-route to the patient. Click here to learn more about this invaluable service that our community is lucky enough to have. In January 2019 our responders covered 446 hours out of a possible 744 (60%) and attended 18 incidents. From beauty treatments and bespoke jewellery to blacksmiths and bonsai - as a large village Boxford has a treasure trove of skilled local businesses ready to provide you with a wide range of goods and services. If you ever need anything, make a quick peek at our business directory your first port of call! Boxford has been an important settlement dating all the way back to the Domesday Book and has a fascinating history. Did you know Boxford was once called Coddenham? Did you know Tornado Smith's pet lioness (Briton) is buried outside The White Hart? Boxford used to have at least 11 pubs - how many can you remember? 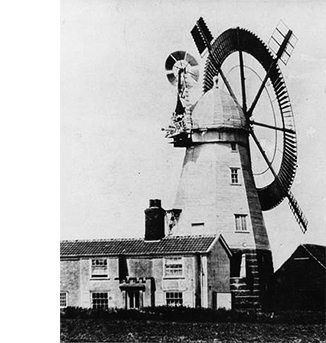 And from 1788 to 1901 Boxford had a windmill at the top of Schools Hill. Have a look at our History section to learn more!